In Swaziland, close to 70% of the people live below US$2 a day. Last year the World Food Program estimated that 350,000 people of Swaziland’s 1.3 million population were in need of food assistance. On the other hand, Sub-Saharan Africa's last absolute monarch Mswati III possesses fleets of luxury cars and private jets. Spectacular celebrations are expected to take place on April 19 for his 50th birthday. 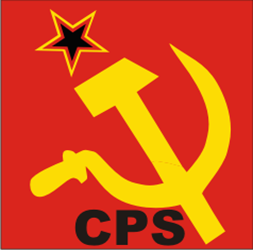 The Communist Party of Swaziland (CPS) declares that the Mswati autocracy does not serve people but the narrow interests of the absolute monarch. According to the CPS's statement released on March 20, the boycott of the 2018 tinkhundla parliamentary elections is "the first step towards the overthrow of the Mswati autocracy." The CPS condemns the flagrant abuse of public funds and calls upon the people to revolt against Mswati's birthday celebrations. Referring to Mswati's own words defining the tinkhundla system as "a marriage between the monarch and the ballot box," the CPS calls upon all progressive forces to fight against the parliamentary elections to be held in 2018. In February, dozens of student activists were arbitrarily suspended from universities in Swaziland, resulting in an education crisis with the shutting of educational institutions.